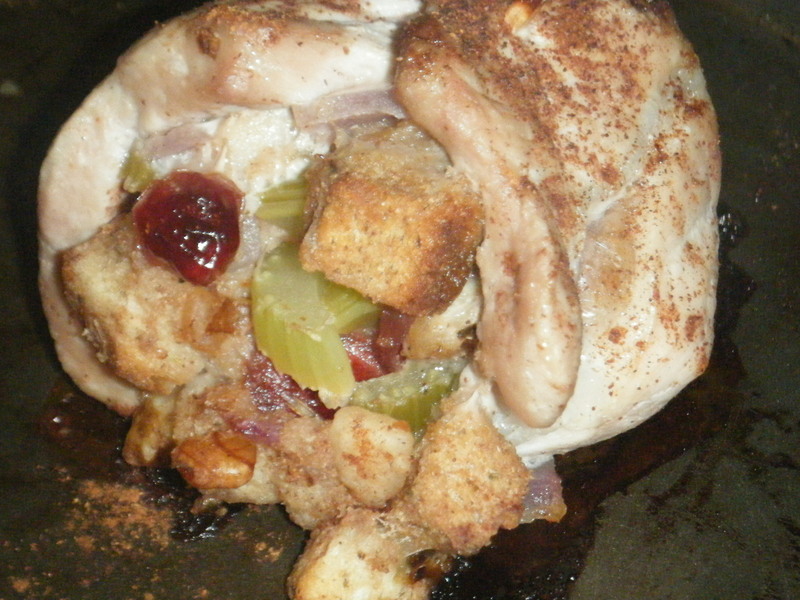 So I had lots of left over stuffing from the roasted chicken I made the other night, and what better way to put it to some good use then to make stuffed pork chops? 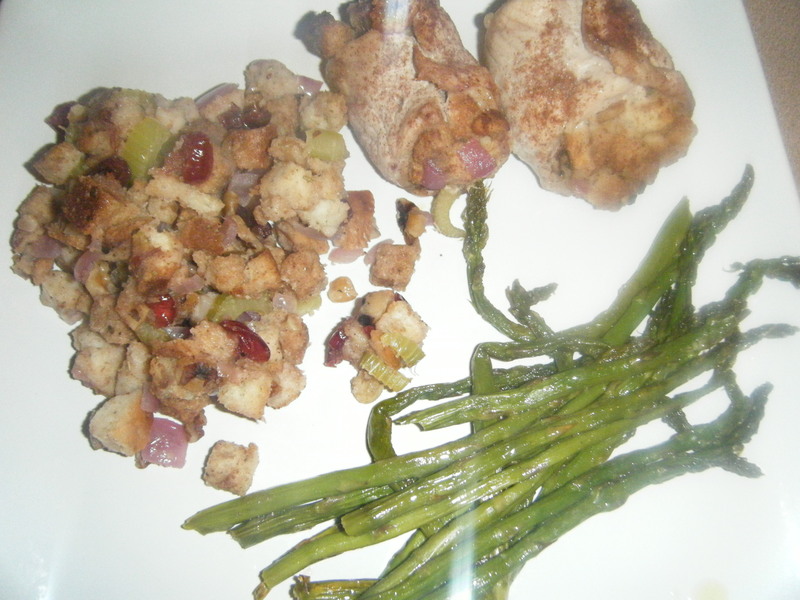 It went very well with the pork chops due to the cinnamon, cranberries, and walnuts. Everything seemed to compliment everything else very well! So because I only had thin cut pork chops on hand, that is why I rolled them and secured with a tooth pick rather than doing it my normal way. 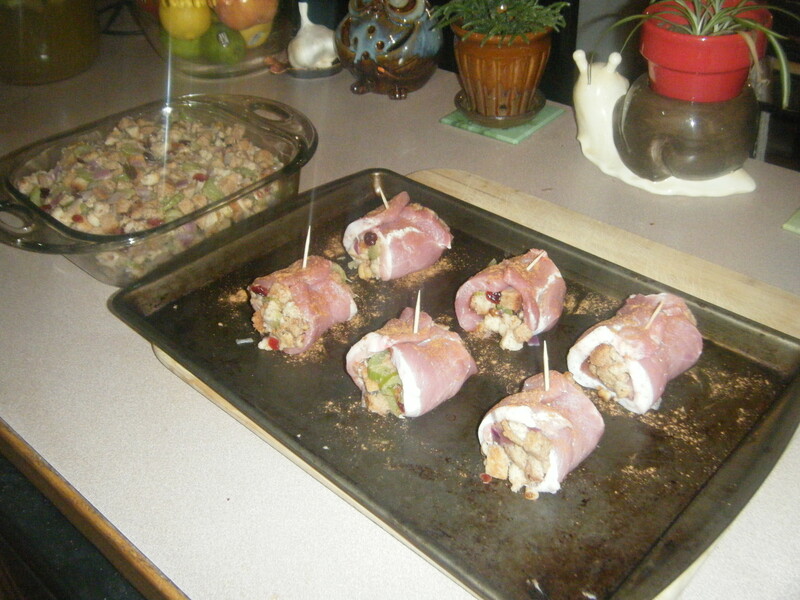 Usually I have thick cut boneless chops and what I will do is butterfly the chop, stuff with a heaping spoon full of stuffing, then tie it with butchers twine. I recommend the thicker chops but my thin chops came out just as well. 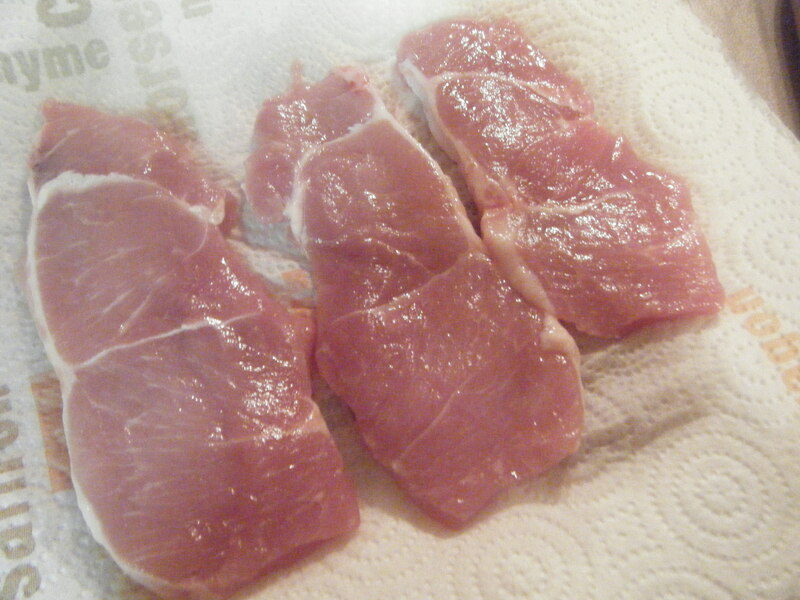 Rinse and pat the pork chops dry. 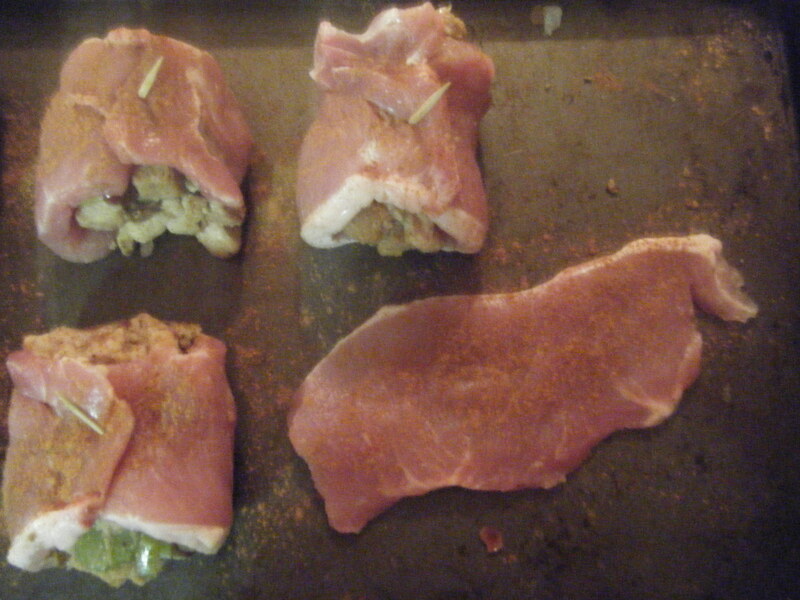 Take a baking sheet and lay out your pork chops and sprinkle with a dash of cinnamon each. 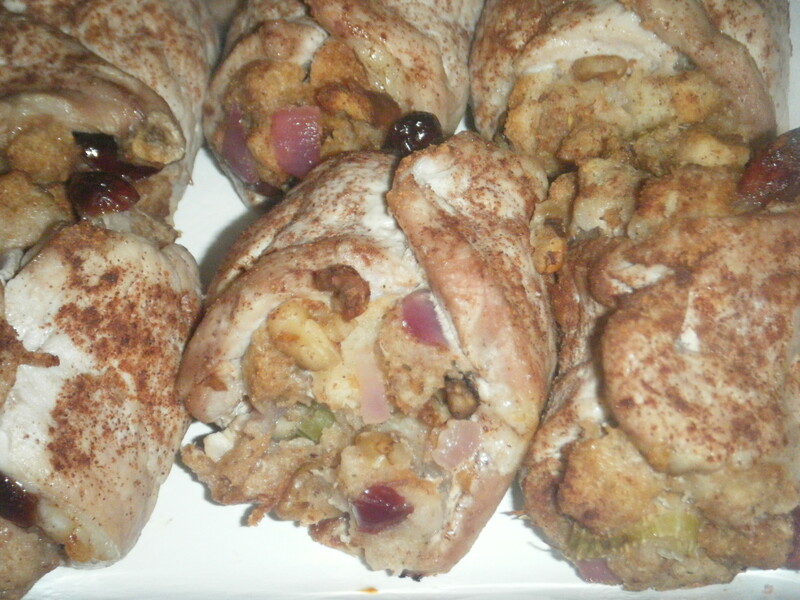 Spoon some stuffing on top and roll them up securing with a tooth pick. 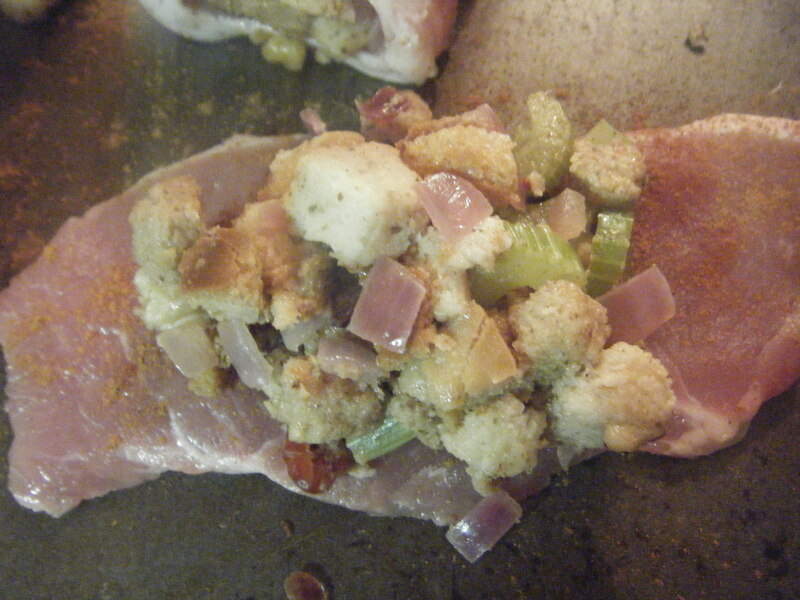 Bake in a preheated oven at 350 for about 15 minutes or until pork chops are cooked throughly.